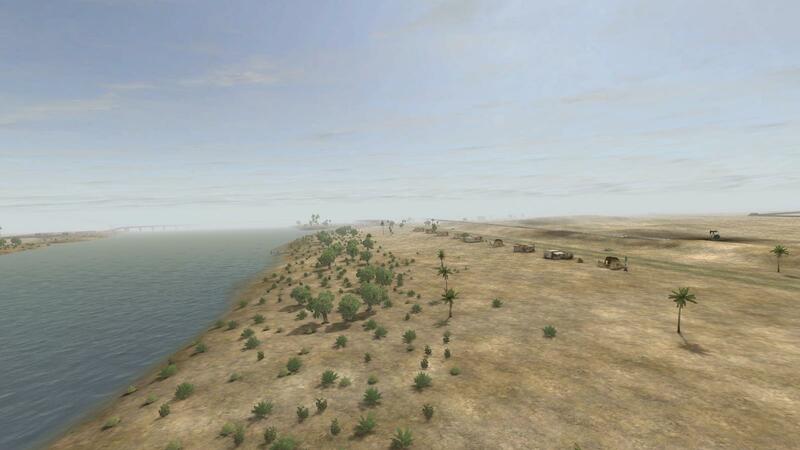 Al Basrah is one of the oldest maps still in Project Reality. 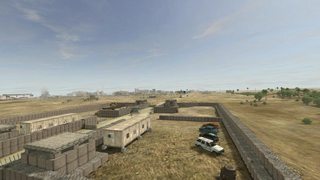 First introduced in v0.4, it was updated for v0.5 and again for v0.6 when it became the flagship for Insurgency gamemode but has remained untouched since. 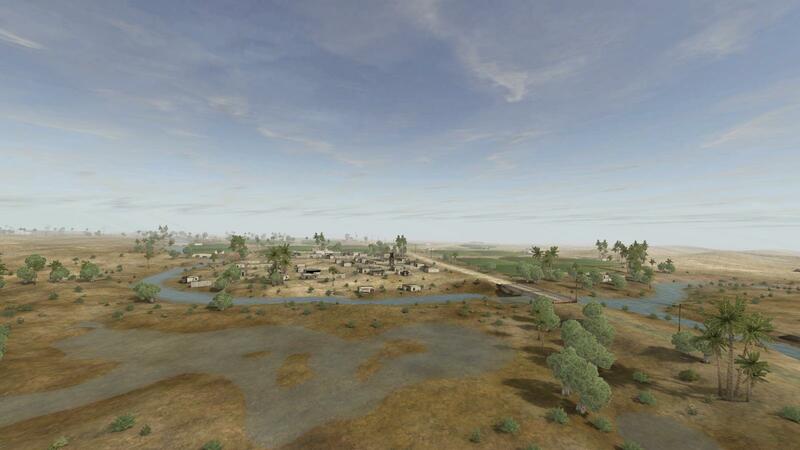 For v1.4, we have decided to integrate a long-standing community map project Al Basrah v2 by TeRR0R as the official version of Al Basrah. 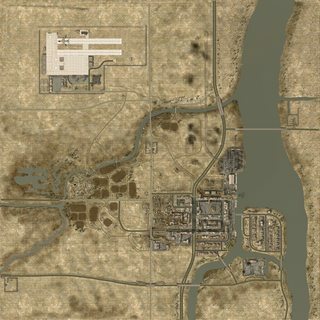 Official version slightly differs from TeRR0R's as we took the liberty to replace some of the statics with their updated versions that are in v1.4 and made some changes to gameplay, which will be explained below. 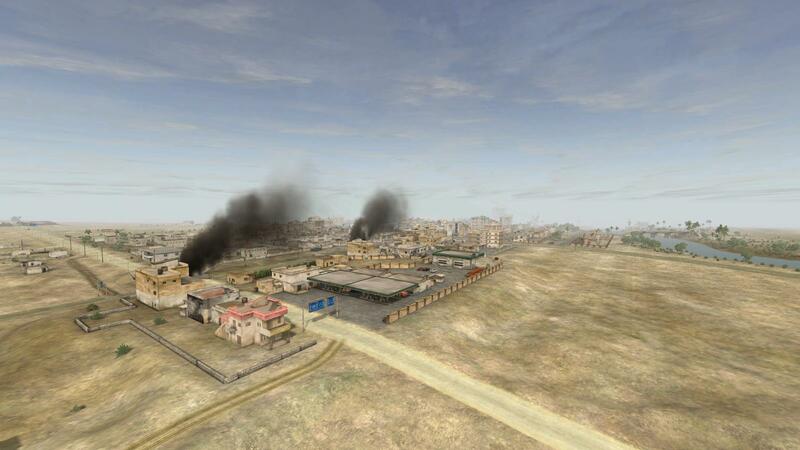 The new features are improved lighting, longer view distance and more enterable buildings around the city. British get two additional FOBs, one of which features an RHIB which is available on all Insurgency layers. River fords have been removed, so you'll have to rely on bridges and Close Support Bridges now. As the Mosque allows Insurgents to be in reach of most city caches, this is an experiment to see how things will play out when Insurgent base is slightly removed from action. 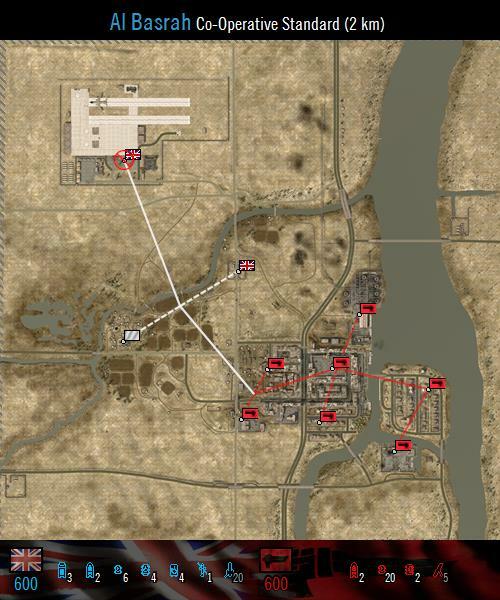 This allows more cache areas in the city itself. 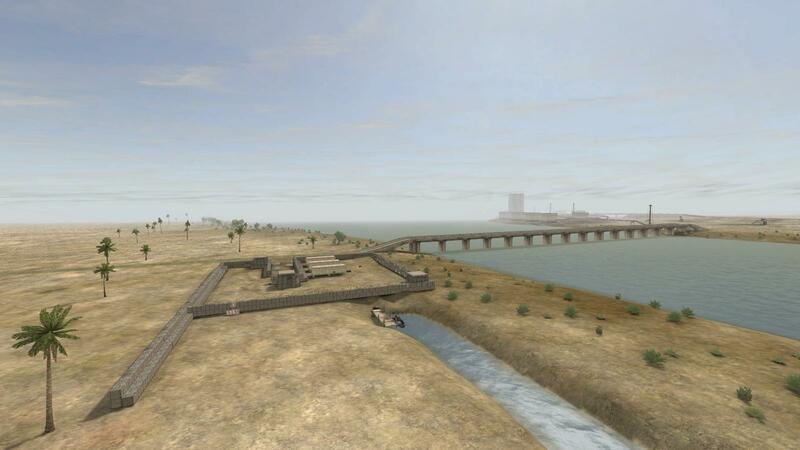 To avoid Insurgents being cut-off in their base, bridges leading to the island north of Palace are now indestructible (this affects all gamemodes and layers). Alt and Inf remain the same, with Mosque as the Insurgent base. Cache positions are adjusted accordingly. Co-op support has been remade and Al Basrah will feature Co-op in v1.4. 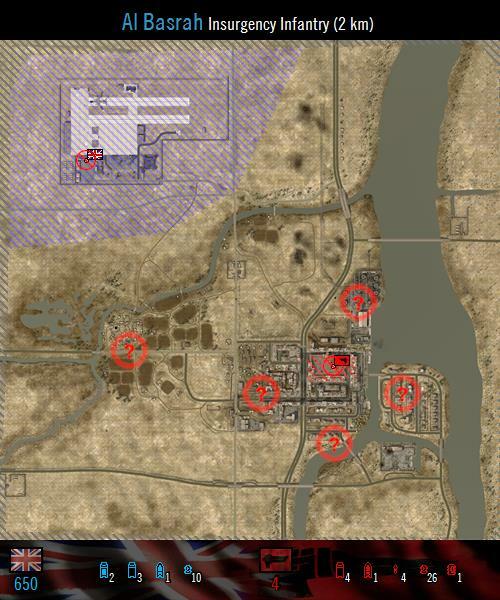 Skirmish is present as well. 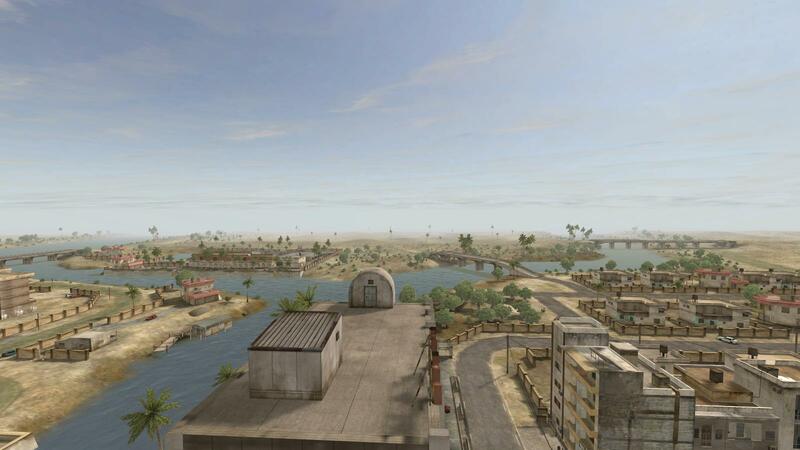 Al Basrah was made by duckhunt. Al Basrah v2 was made by TeRR0R. I think 1.4 is coming very soon. I think nerfing the already inferior side is not a really good idea. But oh well, we'll see how it plays out. EDIT: Scratch that! This is going to be awesome! 1.4 hype! Last edited by operativac; 2016-05-10 at 11:04..
Can you fix unbalanced caches on west side? Splendid . Coop as well. 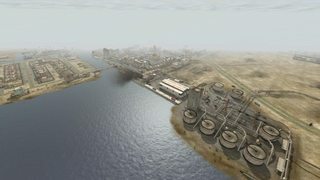 Another favourite of mine that I didn't realise was an early PR level is Kashan Desert. However, I am a bit sceptical about the improved view distance because of the APCs. I think this map would be more fun in a low view distance "sandstorm" environment. 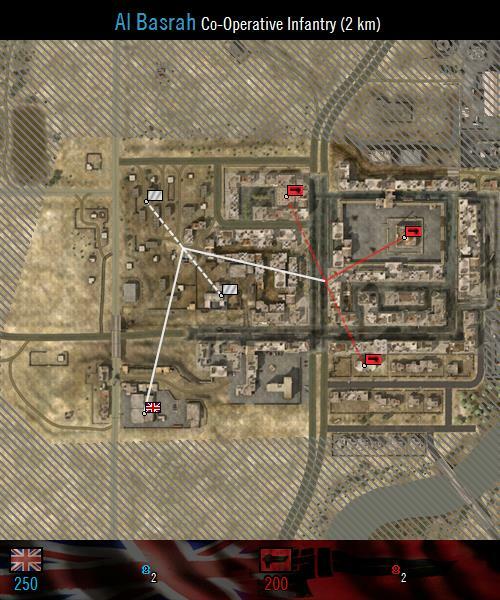 The map suits the SPG technical very well though, especially with some intel you can be pretty efficient with it, so it should be able to counter them rather easily with some good players using it. Of course, most of the time it is some random Ukrainian guy driving towards A12 on its own and leaving it there making sure you won't be able to use it properly. Looks awesome! Only thing I have to say, is that the "palace" I believe was historically a British outpost deep in Basrah that was under siege for most of the battle and is now the insurgent main. 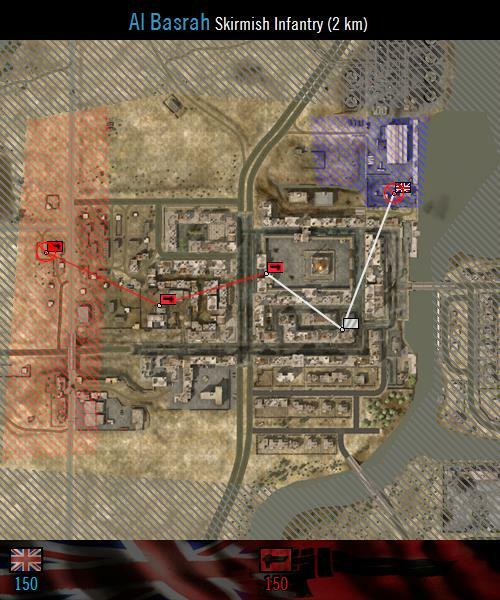 Aside from that, I think the change in main will make it much easier for blufor to penetrate the cities perimeter.